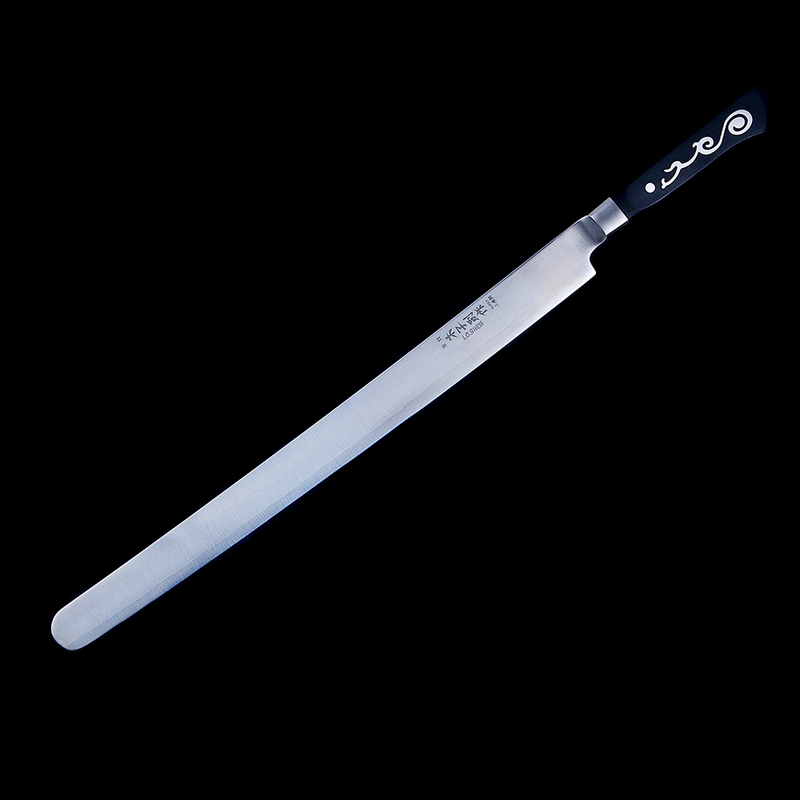 I.O.Shen’s Miho Slicer Knife has a super-sharp Tri-Plex cutting edge along the full length of its impressive, semi-rigid 36cm blade, allowing for smoothly cut, uniform slices of meat or fish that will impress even the most discerning guests. 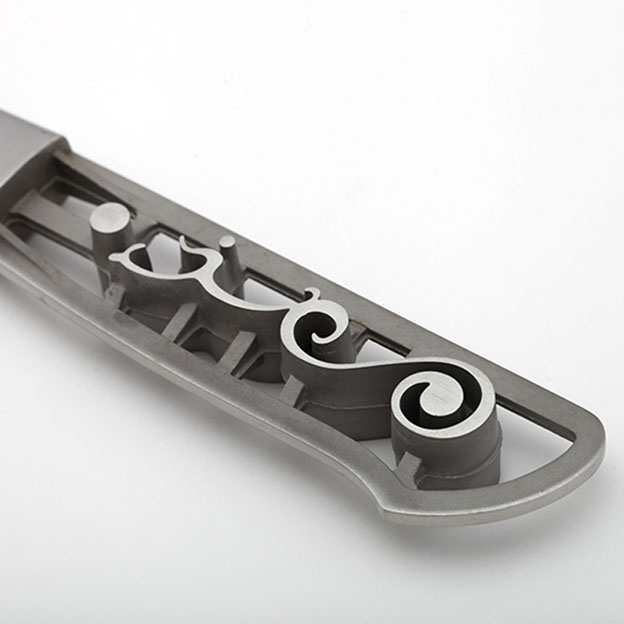 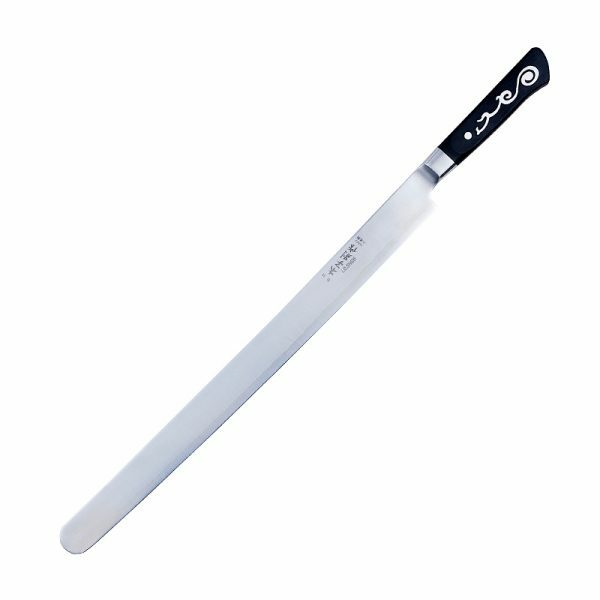 Perfect for cutting super-thin slices of raw or home-smoked meat or fish, it has a rounded tip which can be used as a palette knife for spreading pastes or thick marinades and a lightweight, medium-sized handle for easy manipulation. 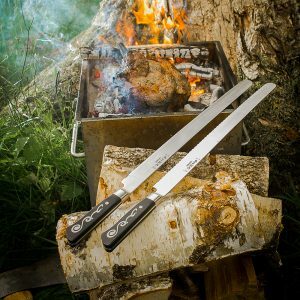 Designed by experts for experts, this 36cm (14″) long knife has been developed with help from British barbecue gurus like Alvin Harris (aka Dr Sweetsmoke) who calls it “14″ of laser-like steel finesse” and Marcus Bawdon, the editor of UK BBQ magazine, who says you need a big knife with minimal flex for slicing brisket, but also one that’s thin enough to “glide through like butter” – and confirms that the Miho Slicer fits the bill perfectly.